With in depth experience in website design, website Development, and web Programming, Ecdo is all regarding delivering high quality web-based solutions and IT enabled services at low and affordable prices. Our experience and skill-set include the design and development of websites and applications specializing in corporate & Business website design, E-commerce on-line Store, Travel , on-line Reservation, Insurance Communication Portal and many more. As a company we always aim to deliver our customers with prime quality products & services and aiming to be the most effective web design and development company in Malaysia. We are very passionate to design and develop awesome fully responsive and SEO friendly websites. We have worked with clients, both multinational and SMEs across the globe to create unique and eye catching websites that inspire, engage and eventually, deliver results. As Malaysia's leading website design and development agency, our vision is to help companies grow their businesses through our design, technology and most importantly, experience. Websites, e-commerce, mobile applications these are the other services we deliver very passionately to our clients. Web Design & Development corporate websites that are business driven while we design and develop the stunning corporate websites, we constructed it to be enterprise driven. Our intention is to assist organizations develop their groups via our designs and advertising and marketing knowledge. With innovative and strategic layouts, our web designers create smooth and easy websites that drives results. From SMEs to huge multinationals, we design and develop stunning websites that makes best enterprise experience. mobile + search engine optimization friendly, manifestly in case your website is not search engine optimization or mobile friendly these days, you're going to lose a number of clients and enquiries. not only is our websites designed to be mobile responsive, it is developed to be search engine optimization friendly to provide you the advantage you need to of get ranked on Google. With our tremendous on-site search engine optimization expertise, your website will start getting enquiries and leads all day. simply the identical way you discovered us on Google. WEB APPLICATION Perfect user experience for you Be it a private network system to handle your big organisation, a marketplace like Lazada and Shopee or even an application platform for your audience, such as Jobstreet and Property Guru, we can make your business dreams happen. It takes a lot of coding + coffee, but the results are worthwhile. We help to analyze project idea The first step to making a successful web application is that you will need consultation on your idea feasibility. Work by phases Usually, when it comes to building an environment as a whole, it's best to scale-up, instead of building everything in one go. The reason is, you might want to watch out for ongoing updates on technology that you're using, as softwares are getting frequent updates to stay relevant, especially towards security breach. Sometimes, all you need is an MVP(minimum-viable-product) Next on list, is to get approval from your target audience on your idea, in a small scale. We'll help you build what you need, or even offer you our expertise in understanding your target audience. You know how important a good website is. That's why you are here. "Always be safe than sorry” No matter what happens to your website, we’ve got your back. Your web pages will stay updated. Be the company that does it right. “You imagine, we create” A beautiful website is a plus, but we make it becomes more than that; A beautiful and digital-friendly website for your business. “Customization is the future” Give your users a specific experience, unique to only your brand and your website. Available for your employees or your customers. You get to deal only with experts our internal team consists of experienced superstars that always deliver the digital magic. Attract the right crowd We present your identity through a personalized website. Your audience will appreciate this effort. Better bend than break Others love charging for everything. We prefer being cooperative and flexible. Learn not only how your website looks, but how it works as well. We don’t always swim with big fish, but when we do, it’s always with one of popular brands. We might not be the fastest. Might not be the cheapest. But we’re passionate about what we do. We listen. We help you reach your goals. We deliver quality. Web development: Future Proof is Web Design. Best of breed security, website design & development, we are web developer in Malaysia with a decade of experience. TOP WEB DEVELOPER IN MALAYSIA Over a decade of experience in website design & development. 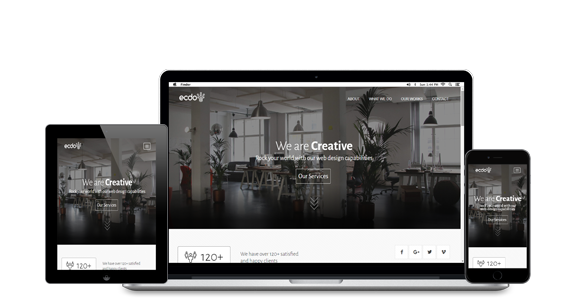 Ecdo stay ahead of the latest web technology and adapt to the latest trend in designing websites and developing web application systems. In Web design we have done hundreds of websites and web systems for many different industries and size of business ranging from a simple microsite to a multi-functional content management system empowered websites. These accumulated web design & development experience has made us one of the top web designers and developers in Malaysia. Apart from designing websites, Ecdo also specialized in web based application system development with number of web technology such as Java, .NET and PHP. We also capable of working with number of popular web development frameworks to support our client who wants to develop a powerful frontend and backend web based application system. Reponsive website design and development Responsive web design is a web design approach aimed at crafting sites to provide on optimal viewing experience in every size of screen such as easy reading and navigation with a minimum of resizing, panning and scrolling. Latest technology and frameworks in webdevelopment Ecdo specialized in many webdevelopment technologies and frameworks. These skills and expertise’s are accumulated and trained over the years of working on different nature of web development projects for clients in different industries. 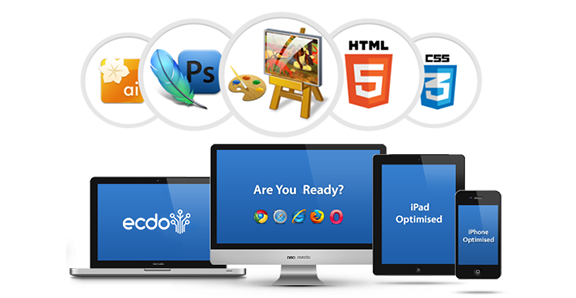 Experienced web developers Ecdo has more than a decade of experience in web development and employed a team of experienced website designers and developers to helps clients with different web development needs and requirements. We are specialized in using java, .net and php programming languages. We specialize in crafting custom-built website design and development solutions that facilitate our customers create an excellent web presence that enhances their company's identity. Web design serves a website the method roots serve a plant. Like a plant with solid roots, website depends on nice web design as an establishment to keep it alive and dealing properly. A well-designed website will generate high client traffic, and a good interface may end up in higher conversions. it is only through a website that one will reach a more extensive group audience and manage the opposition within the trade. ECDO offers such experience to create you an excellent website that takes your business to the next level of excellence. What you can expect once you engage us? We'll show you the way to simply update your contents, manage your posts, pages and categories from one central administrative area. Web design that permits your users a similar experience, regardless the device. Easily set-up your interactive banners together with your latest promotions, news, and events on your home page. We build your website social media friendly. Displaying the proper size of image, title and captions only! traffic. we tend to facilitate integrate Google Analytics to your website. With Ecdo, you have control over everything in one location. Saves you both time and money. Our advisor will discuss about the requirements with you. Then they'll give you a checklist for you to organize for the projects, such as the contents and requirement. Our professional designer and programmer will work along to deliver quality job. Throughout this era, clients are going to be given a temporary URL to look at our job. Clients can feedback directly from time to time. Once design and programming completed and client satisfied, we are good to launch the website. The client will explore and ensure that the website is fulfilling their needs. After one month of launching date, we'll evaluate the result. We’ll monitor the performance of your website and think about few things that may be improved. Drop us a message or call us know.